The creative team of Joe Quesada, Jimmy Palmiotti and Lee Moder return for an all-new Painkiller Jane event! The story that exploded (literally!) out of issue #0 and barreled into issue #1, continues like a bullet through bread as Jane faces ‘the Infidel’ – a new character that will play a major role in note only this series, but in Jane’s entire future! 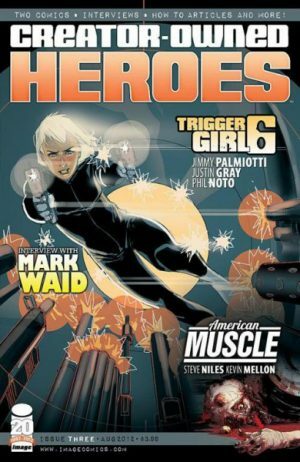 All guided by Jane co-creators Joe Quesada and Jimmy Palmiotti, and PKJ artist Lee Moder! Featuring cover art by Amanda Conner.